WHITE PLAINS, N.Y., February 26, 2019 – The USTA today announced that Fed Cup tennis, the world’s largest annual international team competition in women’s sport, will come to Texas for the first time as the United States Fed Cup Team will take on Switzerland in a World Group Playoff competition inside San Antonio’s Freeman Coliseum April 20-21. USTA officials were joined by representatives of San Antonio Sports, County Judge Nelson Wolff, Pat Frost, chair of the local organizing committee, and Cari Breakie Richardson, president of the San Antonio Tennis Association, at Tuesday’s announcement at Freeman Coliseum. 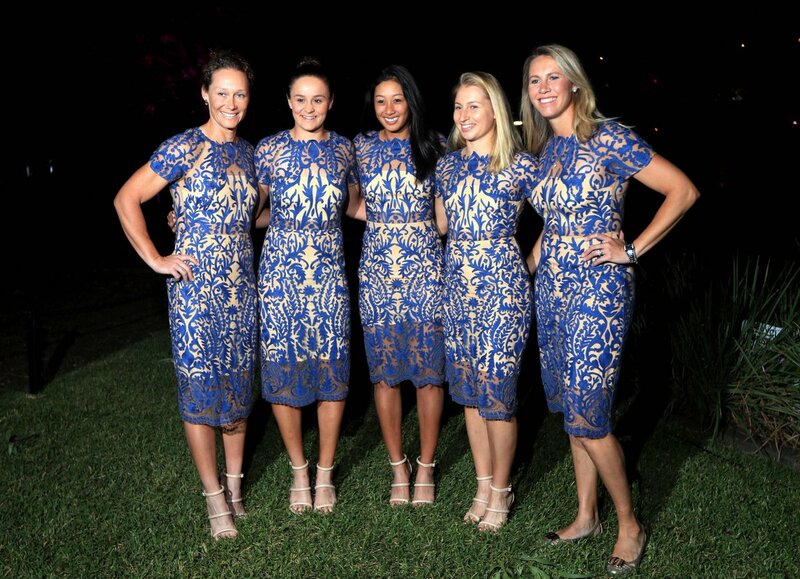 Fed Cup by BNP Paribas is the World Cup of Tennis, and the U.S. is its most successful nation, with 18 titles. The American team won the championship in 2017 and reached the Final in 2018. Over the last two years, players such as Serena and Venus Williams, world No. 4 Sloane Stephens, No. 17 Madison Keys and No. 25 Danielle Collins have featured in Fed Cup matches for the U.S. The World Group Playoff vs. Switzerland is a best-of-five match series played over two days, with each country bringing a team of four or five players. The ‘tie,’ as it’s called, begins Saturday, April 20, with two singles matches between each country’s No. 1- and No. 2-nominated players. Two reverse singles matches, between each country’s No. 1s and each country’s No. 2s, and the doubles match will follow on Sunday, April 21. Matches will be played at Freeman Coliseum on a temporary indoor hard court, with an amended schedule possible for Sunday should one nation clinch victory in the third or fourth singles match. The winner of this matchup returns to the prestigious World Group to compete for the Fed Cup title in 2020. Tickets will go on sale to the general public on March 1 and can be purchased at Ticketmaster.com. Two-day ticket packages for both Saturday and Sunday – the best initial ticket value – will be sold at prices ranging from $50 to $250, or $25 to $125 per day. Single-day tickets for Saturday or Sunday will be sold with prices ranging from $30 to $135 per day. Visit usta.com/fedcup for more information. USTA members will have the opportunity to purchase tickets in advance through an exclusive presale today through Thursday, or while supplies last. The SABÉR Research Institute out of San Antonio’s St. Mary’s University estimates the economic impact of Fed Cup on the region to be $3.6 million, similar to the $3.5 million estimated impact made on the Asheville, N.C., area by the World Group First Round tie earlier this month. While a Keys- and Collins-led U.S. team fell, 3-2, to Australia in Asheville, the USTA and local organizers engaged more than 1,000 kids from the area with tennis programming in what amounted to a weeklong celebration of the sport. While Fed Cup has never before come to Texas, the state has a notable history with Davis Cup, its male equivalent. Most recently, nearly 50,000 fans came out over three days to cheer the U.S. Davis Cup Team vs. Spain in the 2011 Quarterfinals held at the University of Texas in Austin. Houston, Dallas and Fort Worth have all hosted Davis Cup ties in the past, with the U.S. winning the Davis Cup title in 1992 at Fort Worth’s Tarrant County Center. The U.S. team is captained by former world No. 7 Kathy Rinaldi. The players representing both teams will be named no later than 10 days before the start of the competition. The U.S. holds an overall 151-37 record in Fed Cup competition with a 41-7 record in home ties. For more information, including access to player and historical Fed Cup records, please go to www.usta.com/fedcup or www.fedcup.com. The USTA is the national governing body for the sport of tennis in the U.S. and the leader in promoting and developing the growth of tennis at every level -- from local communities to the highest level of the professional game. A not-for-profit organization with more than 655,000 members, it invests 100% of its proceeds in growing the game. It owns and operates the US Open, one of the highest-attended annual sporting events in the world, and launched the US Open Series, linking seven summer WTA and ATP World Tour tournaments to the US Open. In addition, it owns approximately 90 Pro Circuit events throughout the U.S. and selects the teams for the Davis Cup, Fed Cup, Olympic and Paralympic Games. The USTA’s philanthropic entity, the USTA Foundation, provides grants and scholarships in addition to supporting tennis and education programs nationwide to benefit under-resourced youth through the National Junior Tennis & Learning (NJTL) network.For more information about the USTA, go to USTA.com or follow the official accounts on Facebook, Instagram, Twitter and Snapchat. 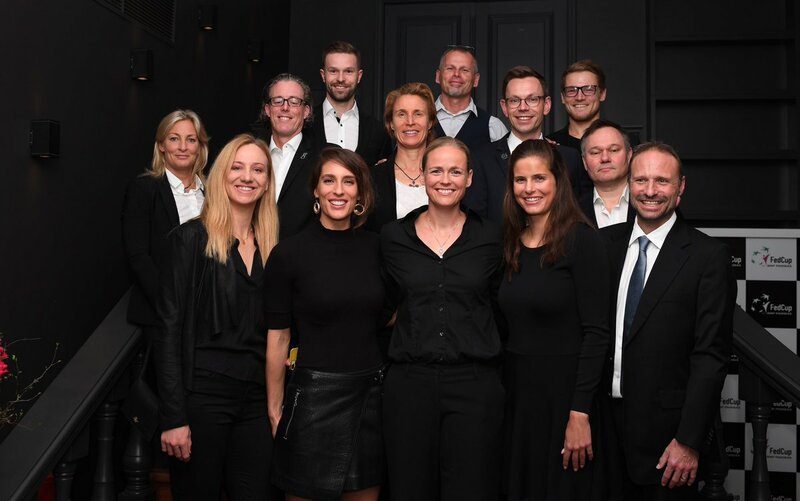 Montreal, March 19, 2019 – The Czech Tennis Federation announced on Tuesday that the upcoming Fed Cup by BNP Paribas World Group play-off between Canada and the Czech Republic will take place in Prostejov, in the Czech Republic, and will be disputed on an indoor clay court. The choice of surface was made by the Czech team for the tie that will take place on April 20 and 21. The player nominations will be announced at a later date. This will be the seventh meeting between these two teams, with the Czech Republic having won all six previous ties. The last encounter dates back to 2015 when the Czechs defeated the Canadian team by a score of 4-0 in the World Group first round tie in Quebec City. Canada is currently ranked no. 11 in the rankings thanks to their 4-0 win this past February over the Netherlands in the World Group II first round tie. The Canadian team made up of Bianca Andreescu, Françoise Abanda, Rebecca Marino and Gabriela Dabrowski put on a dominant performance on the clay courts in 's-Hertogenbosch. Founded in 1890, Tennis Canada is a non-profit, national sport association with a mission to lead the growth of tennis in Canada and a vision to become a world-leading tennis nation. We value teamwork, passion, integrity, innovation and excellence. Tennis Canada owns and operates the premier Rogers Cup presented by National Bank WTA and ATP World Tour events, 9 professional ITF sanctioned events and financially supports 13 other professional tournaments in Canada. Tennis Canada operates junior national training centres/programs in Toronto, Montreal and Vancouver. Tennis Canada is a proud member of the International Tennis Federation, the Canadian Olympic Committee, the Canadian Paralympic Committee and the International Wheelchair Tennis Association, and serves to administer, sponsor and select the teams for Davis Cup, Fed Cup, the Olympic and Paralympic Games and all wheelchair, junior and senior national teams. Tennis Canada invests its surplus into tennis development. For more information on Tennis Canada please visit our Web site at: www.tenniscanada.com and follow us on Facebook and Twitter. 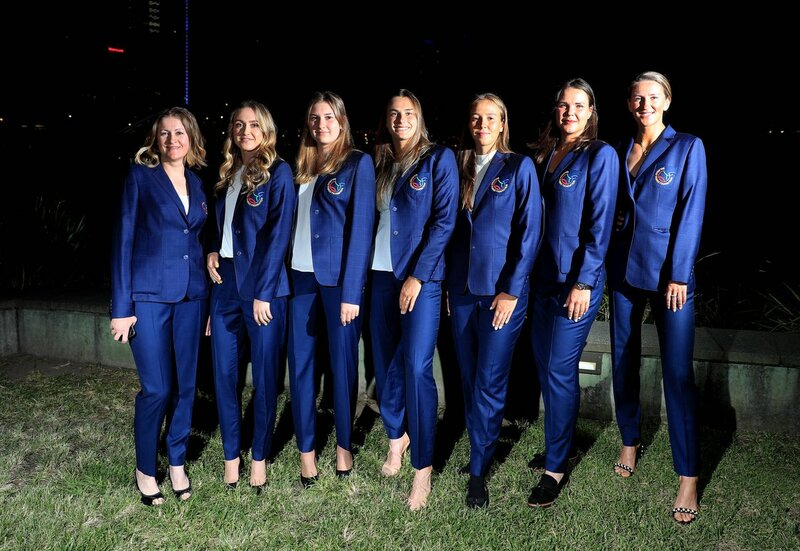 The ITF has announced the official team nominations for the 2019 Fed Cup by BNP Paribas World Group semifinals and World Group and World Group II play-off ties taking place on 20-21 April. There will also be Americas Zone Group II action in Peru and Dominican Republic on 17-20 April and Europe/Africa Zone Group III in both Finland and Montenegro on 15-20 April. Live scoring and live streaming will be available on the official Fed Cup website throughout the week. The English and Spanish websites will both feature reports, photographs and exclusive video content. Fed Cup by BNP Paribas is the World Cup of Tennis. It is the largest annual international team competition in women's sport, with 108 nations entered in 2019. The competition is 56 years old having been founded in 1963. I thought "Wow, France must not have been able to get their top players. These are actually the top 4, and the only ones in the top 100. They've really gone downhill. Wait, who were you thinking would be their A team? That Canada-Czech tie definitely looks like B teams on both sides! I'm wondering this too. This is their team and has been for a good while I thought. Been a long time since Mauresmo and I guess Bartoli were on the team. Maybe I'm just blanking on a significant French player since then? And this team has been successful. Not sure they've won it all, but believe this is the group that made it to the Finals and SemiFinals in recent years. Nobody specific. I'm just used to France having several players seeded (or close) at slams. I didn't realize they'd dipped so much. I do know that Garcia and Mladenovic and Cornet are all a ways off from their best, but I didn't realize they were it. There aren't a bunch of youngsters in the low 100s. There aren't a bunch of veterans still earning a living at small events. There's really almost nobody. It's odd. Maybe we'll see some at Roland Garros? I think they usually give most of their wild cards to their most promising teen players. So maybe more surprised at the rankings of their top players. Not as big a drop as Russia has had though.